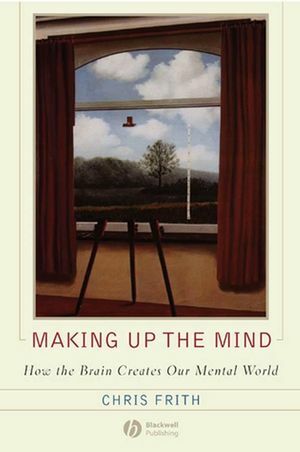 Written by one of the world’s leading neuroscientists, Making Up the Mind is the first accessible account of experimental studies showing how the brain creates our mental world. Chris Frith is Professor in Neuropsychology at the Wellcome Trust Centre for Neuroimaging at University College London. His publications include Schizophrenia: A Very Short Introduction (2003, with Eve C. Johnstone) and The Neuroscience of Social Interaction (2004, edited with Daniel Wolpert). Prologue: Real scientists don’t study the mind. Part I: Seeing through the brain’s illusions:. 1. Clues from a damaged brain. 2. What a normal brain tells us about the world. 3. What the brain tells us about our bodies. Part II: How the brain does it:. 4. Getting ahead by prediction. 5. Our perception of the world is a fantasy that coincides with reality. 6. How brains model minds. Part III: Culture and the brain:. 7. Sharing minds – How the brain creates culture. Epilogue: Me and my Brain.